Until recently, Alberta had the most pro-growth tax regime in Canada and one of the most economically competitive tax regimes in North America. One feature of this system was a 10 per cent provincial general corporate income tax (CIT) rate—the lowest in Canada. Alberta’s 10 per cent CIT meant the province had the lowest combined federal/provincial or federal/state statutory CIT rate in Canada or the United States. 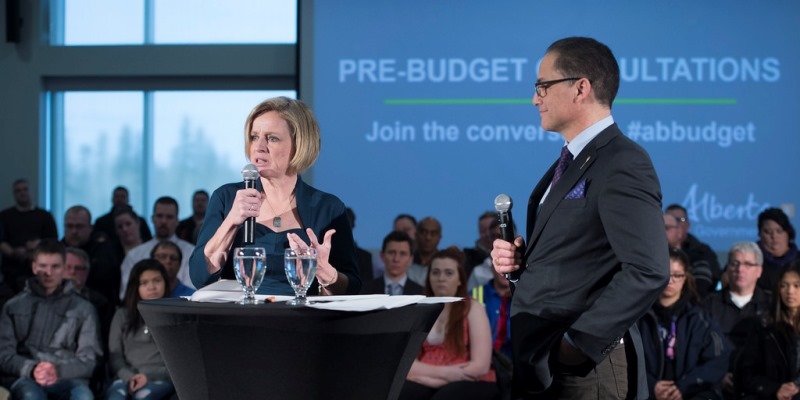 In 2015, however, the Notley government raised the CIT from 10 per cent to 12 per cent. What’s more, comprehensive tax reform in the U.S. slashed the corporate tax in key U.S. jurisdictions, markets with whom we compete for investment. These two developments hammered Alberta’s corporate tax competitiveness, moving Alberta from the lowest combined statutory CIT rate in Canada or the U.S. to the middle of the pack. Recently, Opposition leader Jason Kenney announced a plan to help restore Alberta’s tax competitiveness. Specifically, he expressed support for reducing the CIT by one percentage point annually until it reaches 8 per cent. Assuming no changes elsewhere, this would give Alberta the seventh lowest CIT among the 50 states and 10 provinces. In short, the CIT reductions would once again make Alberta’s statutory CIT highly competitive in North America, sending a powerful signal that the province is again hospitable to new investment. The evidence that a substantial CIT reduction would be good for the economy is ample. Consider the aptly titled study The Costliest Tax of All by Ergete Ferede and Bev Dahlby. The authors analyzed Canadian data from 1972 to 2010 and confirmed that corporate income taxes are more harmful to the economy per dollar raised than personal and sales taxes. For Alberta specifically, they found that a corporate tax increase would be roughly three times as damaging as a sales tax increase and twice as damaging as a personal income tax increase. Simply put, cutting the CIT would mean reducing the province’s reliance on one of the most harmful components of its tax mix. Of course, some will protest that corporate income tax reductions are a “handout to the rich.” This is wrong. The evidence suggests a lower CIT will benefit a wide range of Albertans. Albertans who own shares in companies (through their own retirements or the CPP) would benefit from higher profits. What’s more, research from Ebrahimi and Vaillancourt shows that workers bear in large measure the burden of high corporate taxes, in the form of lower wages. So we can expect a CIT cut to result in higher wages for workers in Alberta. Finally, in addition to reducing wages, corporate income tax increases might be passed along to consumers in the form of higher prices, further spreading the pain. A CIT reduction would be good news for Albertans, not just the “rich” ones. While some commentators will spin a corporate income tax reduction as a “giveaway” to the wealthy, it would in fact be welcome news for Albertans throughout the economic spectrum—good for workers, good for growth, and ultimately good for government finances. Reinserting Alberta to the front of the pack on corporate income taxes would be a good first step to restoring Alberta’s former tax advantage.